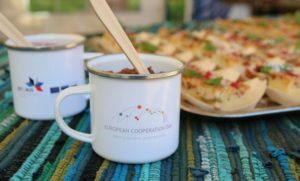 European Cooperation Day 2018 (EC Day) celebrations have been kicked off. 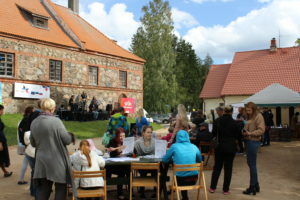 On Saturday, 15 September we opened the `Cooperation and Art Buffet` of Estonia-Russia CBC Programme just for one day to join the Buffet Day on the Onion Route in Alatskivi, Peipsiääre Municipality, Estonia with various undertakings and to celebrate the EC Day. Large number of guests were welcomed during the whole day. 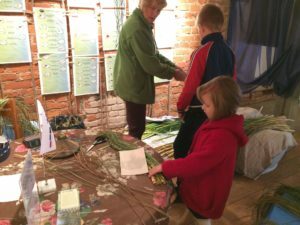 Workshops in Alatskivi Nature Centre introduced visitors through game the biota of biggest transboundary lake in Europe – Lake Peipus and provided new skills in art and crafting. “Painting our future together” is the slogan of the European Cooperation Day this year. 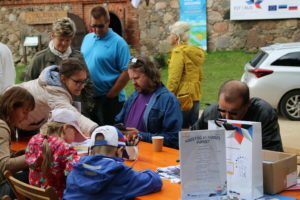 Colouring postcards, which were made based on drawings of students of Alatskivi School of Arts (Estonia) and Pskov (Russia) attracted all our visitors. 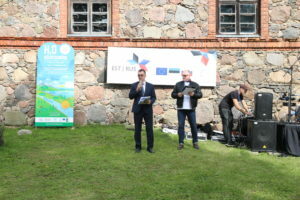 To share good wishes and spirit of the EC Day in Alatskivi people were invited to address coloured postcards to their friends, families in their chosen destinations. The day resulted with 335 coloured and illustrated postcards in our mailbox, from which 282 marked with addresses shall reach recipients in 8 different countries: Estonia, Russia, Latvia, Norway, Belgium, Lithuania, France and Germany already during nearest days. Painted postcards were also the only means of payment in the buffet, which in return provided snacks made of local products. Opening and greeting words by Mr Aleksandr Širokov – the Mayor of Peipsiääre Municipality, Mr Aleksei Kotelnikov – First Secretary of Russian Embassy in Estonia, Mr Aleksander Vukkert – representative of Managing Authority of the programme and Ms Unda Ozolina-head of the Joint Technical Secretariat stressed the significant role of cross border cooperation in the development of the region. 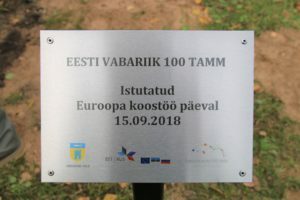 The official part of event culminated with joint planting of oak tree in Kuke Park symbolizing cooperation in Alatskivi and Estonia 100 Anniversary. 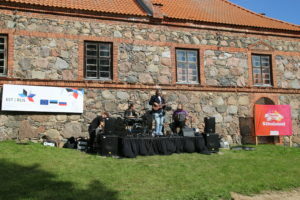 Musical interludes provided by Estonian ensemble “Põldsepp ja pojad” included both, Estonian and Russian well-known songs. We are grateful to our partners and all our visitors for active participation at the event and interest in Estonia-Russia CBC Programme! Results of received assessment from guests reflected only very positive feedback and satisfaction. 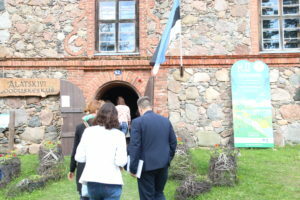 EC Day has also introduced the Programme in the region as only 27% of the respondents were familiar with the Estonia-Russia CBC Programme before the event. 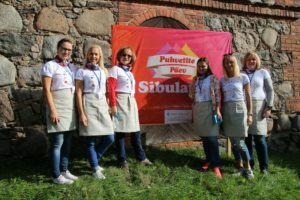 Undertaking was organized in close cooperation with NGO Sibulatee, Peipsiääre Municipality and Alatskivi Nature Centre. 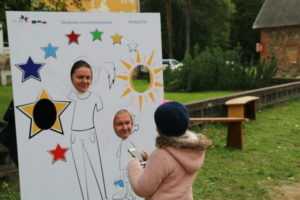 Please visit the Gallery of the EC Day in Alatskivi HERE. 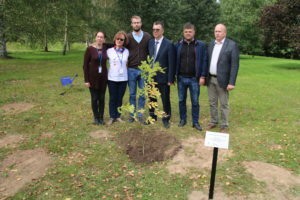 Next events are already to come and take place in Russia – 22 September in Pskov and 30 September in Gatchina, Leningrad region. Additional information and agendas of events are available on our webpage HERE.